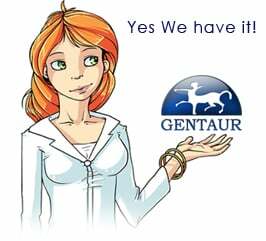 Gentaur antibody-antibodies.com The Marketplace for Antibodies : The LIR motif - crucial for selective autophagy. The LIR motif - crucial for selective autophagy. (Macro)autophagy is a fundamental degradation process for macromolecules and organelles of vital importance for cell and tissue homeostasis. Autophagy research has gained a strong momentum in recent years because of its relevance to cancer, neurodegenerative diseases, muscular dystrophy, lipid storage disorders, development, ageing and innate immunity. Autophagy has traditionally been thought of as a bulk degradation process that is mobilized upon nutritional starvation to replenish the cell with building blocks and keep up with the energy demand. This view has recently changed dramatically following an array of papers describing various forms of selective autophagy. A main driving force has been the discovery of specific autophagy receptors that sequester cargo into forming autophagosomes (phagophores). At the heart of this selectivity lies the LC3-interacting region (LIR) motif, which ensures the targeting of autophagy receptors to LC3 (or other ATG8 family proteins) anchored in the phagophore membrane. LIR-containing proteins include cargo receptors, members of the basal autophagy apparatus, proteins associated with vesicles and of their transport, Rab GTPase-activating proteins (GAPs) and specific signaling proteins that are degraded by selective autophagy. Here, we comment on these new insights and focus on the interactions of LIR-containing proteins with members of the ATG8 protein family. A pseudo-receiver domain in Atg32 is required for mitophagy. [Research progress on mechanism of Nix-mediated mitophagy]. Methods for Studying Interactions Between Atg8/LC3/GABARAP and LIR-Containing Proteins. iLIR database: A web resource for LIR motif-containing proteins in eukaryotes. AMBRA1 is able to induce mitophagy via LC3 binding, regardless of PARKIN and p62/SQSTM1. LC3C, bound selectively by a noncanonical LIR motif in NDP52, is required for antibacterial autophagy.